Welcome to the Putney Fire Department’s official website. Located approximately 120 miles northwest of Boston, Putney sits in between the towns of Brattleboro and Bellows Falls and can be accessed by way of Route-5 or I-91 at Exit 4. The town supports many industries and is home to Landmark College, The Putney School, The Greenwood School and Putney Grammar School. Aside from that, Putney is a quite bedroom community with friendly, good natured people. 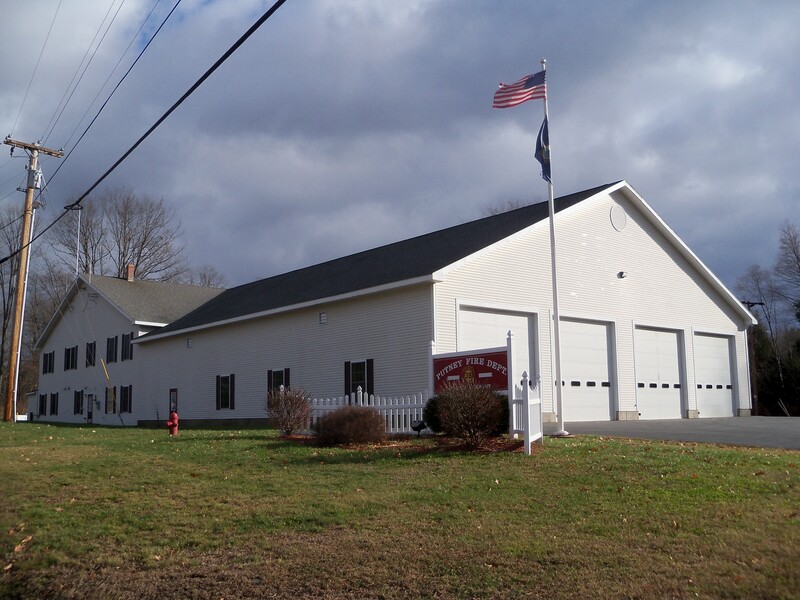 The town is also situated along the picturesque Connecticut river, within 35 miles from various ski areas, Putney Fire Department is a non-profit, fire department, which responds to both fire and EMS calls. Recent Putney Fire Department News! The Putney Fire Department is proud to announce its recent partnership with Windham County Safe Kids. We would like to thank EMT Amanda Streeter for her recent completion of the Child Passenger Safety Technician course and Amanda will be the PFD representative to the coalition. Thanks Amanda! The Putney Fire Department is always proud of its members when they obtain or upgrade their certifications and we would like to recognise a few that have done so or are doing so this year. FF/EMT Charles Stromberg has just completed the nationally recognised Firefighter II Pro-Board course. FF/EMT Jeff Hiam is currently attending the Greenfield Community College Paramedic Program and is about halfway done. Putney Fire Department would like to congratulate FF/EMT Adam Martin and EMT Amanda Streeter on their acceptance into the Greenfield Community College Paramedic Program this fall and wish them the best of luck. We would also like to congratulate Adam on his Full-Time appointment to the Belchetown Mass Fire Department. Adam will still be serving the Putney Fire Department when he is at home with his parents. Putney Fire and Rescue would like to thank all of its members for their efforts in maintaining and upgrading their Fire and EMS certifications. The members on going efforts have help PFD become a leader in Rural Fire and EMS. The Town of Putney and the administration of the department are grateful to the members for their sacrifice of time and their dedication to the Town, Community and Region.